With more and more casting directors requiring actors to put themselves on tape, the cost for auditioning has fallen squarely on the actor. Together with our traditional manned taping room, Casting Workbook has some exciting options to enable our members to self-tape simply and affordably. All that is required is your login, password and a reader with little or no technical experience. Casting Workbook Toronto is happy to offer self-tape facilities and services in our Toronto office. Apart from the full-service "manned" studio, we provide self-serve facilities for our members, complete with all light, sound, space & technology required to shoot a professional audition. You bring the reader/operator and we've got the rest. Additionally, our Multi-Use Rehearsal Studio is equipped with lights, camera, a Roland JD-800 keyboard, microphone, monitors and laptop. Please note: this space is not "voice-over" soundproofed but suitable for small sessions, auditions and small video projects. Click below to schedule an audition or studio time. Casting Central is Toronto's only full service casting facility making it the one stop location for all your audition needs. 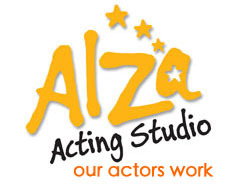 Casting Central features five professional casting studios and offers studio rental for casting sessions, actor self tape auditions and uploads, actor workshops and training, demo reel editing and offsite location recording. Space. Space to move, work, create and motivate. Space that inspires, simplifies and supports. Milesome is just that space. It is designed to meet your demands, your professional requirements. Service, technology, light and comfort. This space is for rent.